The news that the Chancellor’s Autumn Statement has confirmed the work of the Peninsula Rail Task Force to deliver a report into the future of rail in the South West, but there is a cautious welcome for the remainder of the announcement. Councillor Andrew Leadbetter, Chair of the Peninsula Rail Task Force said:” We have been working hard to develop the report to Government setting out our ambitions for the rail network in the South West for many months now… Cont. 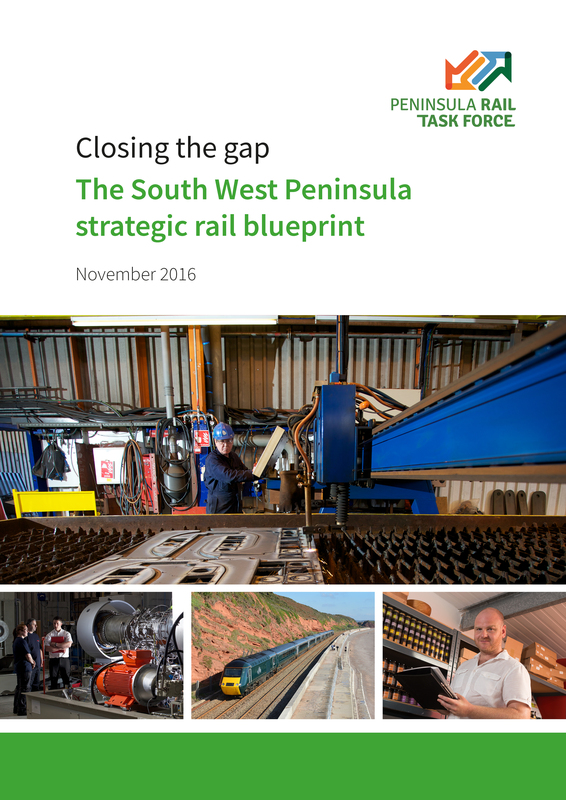 The Peninsula Rail Task Force has published interim plans for improving the South West’s rail network today in its report ‘On Track’. The Task Force has been working at the request of Government with the Department of Transport and Network Rail to produce recommendations on upgrading the region’s rail. Chair Andrew Leadbetter said: “On Track sets out our vision for our rail. We want a network that is resilient, that is on a par with the rest of the country, with shorter journey times and enough capacity to meet the needs of our passengers… Cont. 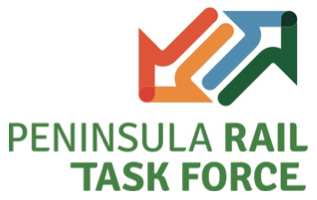 The Peninsula Rail Task Force has launched a consultation for its interim report on the South West rail network. On Track sets out the vision for the peninsula and the first steps needed to achieve the programme of work, which will improve the network over the next 20 years. Chair of the Peninsula Rail Task Force, Councillor Andrew Leadbetter said: “We have been campaigning and pressing the Government to deliver a programme of improvement for the South West rail network, creating greater resilience, faster journey times and increasing capacity. Our priority is to achieve a railway fit for the 21st Century, fit for our residents, commuters and visitors… Cont. The Peninsula Rail Task Force welcomes the announcements made by First Great Western and the Department For Transport of the addition of new trains for services in the South West. Twenty-nine high speed Hitachi AT300 Trains will replace part of the current fleet running between the South West peninsula and London. The new trains will lead to reductions in journey time by up to 14 minutes between Penzance and London, moving the region closer to its goal of a two and quarter hour journey between Plymouth and London and three and a half hours to Truro… Cont. “The Peninsula Rail Task Force welcomes the news from First Great Western that the new direct award will provide faster journey times, more capacity and improved rolling stock as a positive contribution to our continuing campaign. This is a important and significant step in the right direction: the extra capacity for the Exeter area, more trains to and from Cornwall and Paignton will start to alleviate some of the pressures on our rail network. The prospect of updating our trains, consigning our ageing slam doors to history would bring helpful reductions in journey times. “However, we are aware that the long distance trains and maintaining the existing services to Paignton remain a decision for DfT to make. We are therefore fully behind the proposals, but until confirmation that the new rolling stock for Devon and Cornwall and services to Paignton… Cont. A year after the rail line was severed at Dawlish, another weekend of disruption has happened across the South West rail network due to signalling problems. However, the situation may be about to change as the Peninsula Rail Task Force has had its inaugural meeting with Department of Transport and Network Rail officials before meeting with the Secretary of State, Patrick McLoughlin. The Task Force met to discuss its proposals to make the rail network more resilient and reliable, ensuring that the Dawlish line remains the main line and is amply protected, along with measures to achieve faster journey times and sufficient capacity… Cont. As the latest report from the Transport Select Committee, “investing in the Railways’ acknowledges the South West has been ‘starved of investment’, the South West Peninsula Rail Task Force has queried the ‘Long Term Economic Plan’ announced by the Chancellor and Prime Minister today. The Peninsula Rail Task Force, a partnership of local authorities from Cornwall, Devon, Plymouth, Somerset and Torbay, the SW Chamber of Commerce and both LEPs has been campaigning for greater investment into the region’s rail and road networks following the severe weather incidents of 2012… Cont.